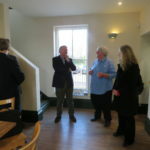 To help refurbish the station house building and provide vital facilities to promote local community development, social and business networking and access to high-speed broadband. The Station House’s café, events space and computers all facilitate ways of bringing people in this rural community together. An access ramp and internal platform lift ensure people with disabilities can make use of the services too. The building includes a specific health and social care room. Hiring the room to healthcare practitioners improves access to healthcare services for the local community. Located half an hour by car from Ipswich, Station House serves a community dealing with the challenges of isolation. While the social challenges of rural communities are less visible than urban ones and deprivation less obvious, they are equally inhibitory to creating vibrant and dynamic places to live. 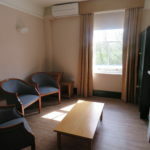 Difficulties in accessing key services, loneliness, disconnection, and a lack of social cohesion were just some issues that Station House sought to address. It did so by looking to the history of the building and bringing it back to life for the twenty-first century. 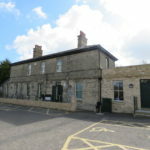 Since the East Suffolk Railway first built the station house in 1859, there has been a rich history of ‘making connections’ associated with the building. While the railway connected the town to the rest of England, a telegram system connected this community, and others along the line, in rural Suffolk to the rest of the world. Station House Community Connections was formed to keep this tradition alive and address local challenges. 45 members of the community have come together to form a charitable Community Benefit Society and, with help from a Power to Change grant, restore the Station building so it could provide much needed services to local social and business communities and generate a sustainable income. The provision of Wi-Fi and high-speed broadband is a challenge for rural Suffolk where internet speeds are slow. With its high-quality Wi-Fi and broadband services, Station House allows local people to access internet faster than they would be able to elsewhere in the area. A training/computer room allows local members of the community to work remotely and plays host to computer skills sessions. An accessible computer desk enables wheelchair users to participate too. A lively café that provides a focus point for the community to meet, grab a coffee and socialise, whether waiting for a train or not. 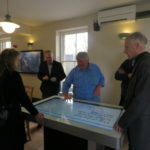 Three interactive screens – one providing advertising space for local businesses and the other two for telling the history of the East Suffolk Railway and mapping the wider local area, its geography, amenities and facilities.